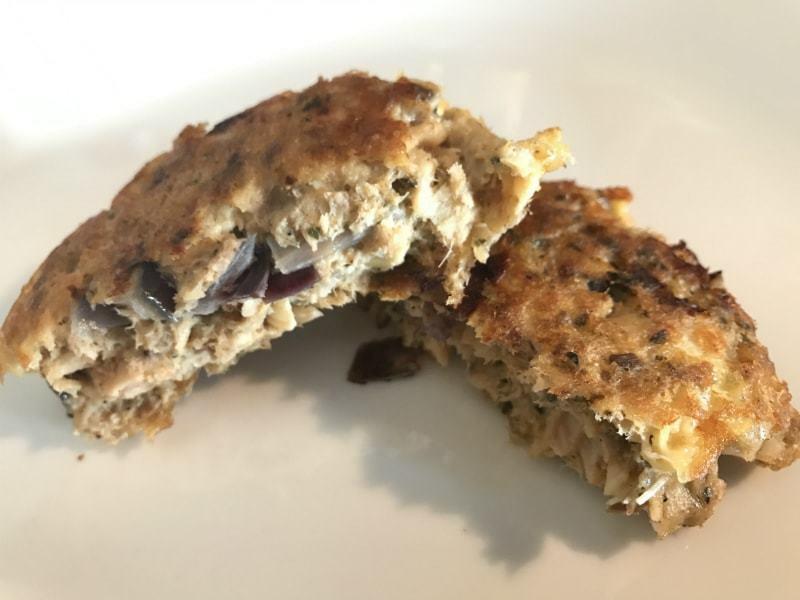 Salmon cakes area a wonderful alternative to traditional crab cakes since salmon is rich in omega-3 fatty acids. It also doesn’t hurt that they are delicious! If you’re not yet aware on the importance of omega-3s, here’s a quick list of benefits and reasons why they are necessary in a healthy diet. Heart Healthy… They help to reduce triglycerides, reduce blood pressure, raise good cholesterol levels and help prevent the formation of blood clots. Fight Inflammation…Omega-3s can reduce the production of molecules linked to inflammation. Aid with… depression & anxiety, improve eye health and can promote brain health during pregnancy and early life. We’ll take this healthy recipe one step further by using a tasty low salt seasoning. 1. Mix all the ingredients together in a large bowl, except for the olive oil (mix for at least a few minutes to blend well). 2. Spoon portion sizes into skillet and cook in olive oil on medium heat until patties are golden brown (approximately 5 minutes on each side). Salmon cakes are great with eggs for breakfast and are also delicious crumbled over a salad for lunch. 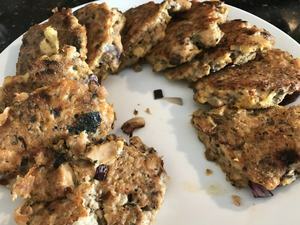 Larger salmon patties make great salmon burgers as well!